Kyle Bradstreet, '02, '04, has used what he learned as a Buffalo State student to launch a successful television writing career. 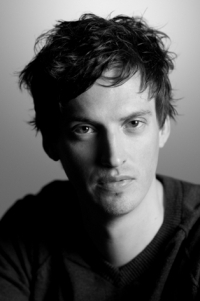 Bradstreet's credits include writing and producing the popular BBC-America television series Copper. The dramatic series, created by Buffalo State alumnus Tom Fontana, '73, focuses on New York City police officers in 1864. 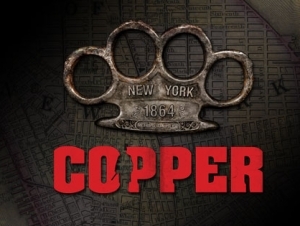 Bradstreet will screen two episodes of Copper on Tuesday, November 13, from 1:00 to 4:00 p.m. in the Burchfield Penney Art Center Auditorium. He will be joined by actor Ato Essandoh at the screening. A Q&A session will follow. Admission is free. Bradstreet earned a bachelor's degree in English with a minor in theater and a master's degree in multidisciplinary studies from Buffalo State. Along with Copper, he has worked on the screenplays for Borgia: Faith and Fear, HBO's Manhunt, and NBC's The Philanthropist. He also writes fiction that has been published in several literary journals.